Uniondale, NY Forchelli Deegan Terrana LLP partner David Loglisci has been appointed president of the Columbian Lawyers Association of Suffolk County. Loglisci concentrates his practice in construction law, commercial and general civil litigation. He has over 20 years of litigation experience, including trials in both the state and federal courts, as well as arbitrations. 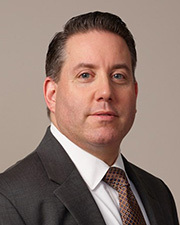 He is a member of the Nassau County Bar Association, where he serves on the Commercial Litigation and Appellate Practice committees, and the Suffolk County Bar Association, where he serves on the Creditors’ Rights and Supreme Court committees.